Russ’ Garage has the capability to build you a Subaru from the ground up. We have extensive knowledge on the various Impreza chassis’, as well as being more than passably familiar with other Subaru platforms. If you have an old Loyale or Brat that needs some love, we are able to keep them on the road. How about an XT or an XT6? You guessed it, we can help. We can source parts for your JDM swapped car, performance parts for your USDM STI, and even take care of your 100k maintenance needs. We specialize in building custom exhaust systems. We can build in stainless, mild, and aluminized tubing. Or, we can install that up pipe and turbo back that you have sitting in the trunk, just begging to be installed. 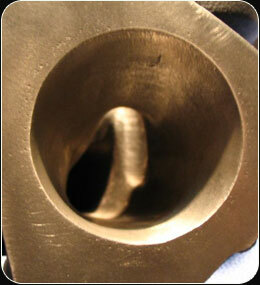 We’re equipped for stick, MIG, and TIG welding, so there isn’t much that we can’t fuse together. 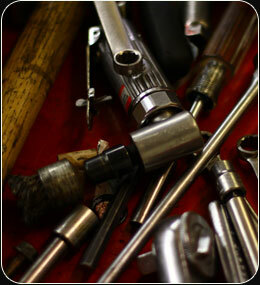 We’re not just here for Subaru’s, we can do this work for classic as well as late model vehicles. We focus on working with automotive electrical systems. From audio installations to re-wiring a JDM swapped car, we’re adept at figuring out what the problems are. We love figuring out a challenging problem. Another popular service that we offer is flow porting of turbine housings, cylinder heads, exhaust manifolds, intakes, and intercooler elbows. Effective, proven power can be made this way. 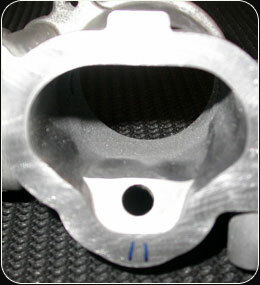 We can have 3 angle valve cuts done, enlarge the seat throats, and even install larger valves. We work with a local powder coater to have your ported items looking their best, no reason to send parts to New York or Japan anymore to make them look their best. We have extensive knowledge of Subaru manual transmissions. Basic clutch replacement or pull the transmission and install new gears and syncro’s in your blown gearbox. We can also install upgraded gear sets in Subaru 5mt transmissions, and source parts for Subaru 6-speed transmission upgrades. We partner with an automatic transmission specialist to service our clients with auto transmission needs. Performance brake installs, coil-over suspensions, lowering springs, lifts, you name it. We have done it before and are happy to do it for you. Need braided hoses fabbed? No problem. Need gauges installed? We can handle that. Need a stereo installed? Yes, we sure can do that too. We can even install a kill switch for your Rally car! If you have read this far and none of this makes much sense to you, that’s understandable. We know that not every one is a “gear head”. We can make the scary world of automotive jargon much less scary for you. We do routine maintenance, from oil changes to changing your brake pads, just as happily as we do specialty work. For any questions, please, contact us. Call with your plans. Call with your dreams. We can make it happen.